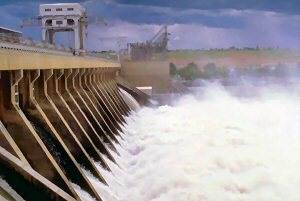 WALLA WALLA, Wash., U.S. -- The U.S. Army Corps of Engineers seeks information on firms capable of relocating a juvenile fish bypass outfall pipe at the 980-MW McNary Dam project on the Columbia River in Oregon. Responses are due Dec. 30. The Corps recently awarded a $270,400 contract to Kentucky-based Marine Solutions Inc. to replace trashracks at McNary. The agency also awarded a $33,576 contract to Konnowac LLC of Yakima, Wash., for cathodic protection anodes for the main unit intake gate and a $24,185 contract to Paige Electric Co. of Union, N.J., for fasteners of various types for McNary headgate rehabilitation. The Corps' Walla Walla District now seeks information to identify small businesses, HubZone small businesses, and Service-Disabled Veteran-Owned small businesses with the ability to perform the fish bypass relocation at McNary. The contract is to include work to relocate and support or bury 16-inch, 36-inch, and 42-inch pipe totaling about 3,550 feet. To be carried out between August 2011 and April 2012, the work is valued between $10 million and $20 million. A sources sought notice may be obtained from the Federal Business Opportunities Internet site, www.fbo.gov, by entering Solicitation No. W912EF11RSS10 in the "Keyword/Solicitation #" box. Responses are due by 4 p.m., Pacific time, Dec. 30 by mail to Phyllis L. Buerstatte or by e-mail to both Buerstatte and to Jani C. Long, at the addresses below. For information, contact Phyllis L. Buerstatte, U.S. Army Corps of Engineers, Walla Walla District, CENWW-CT, 201 N. 3rd Ave., Walla Walla, WA 99362-1876; (1) 509-527-7211; Fax: (1) 509-527-7802; E-mail: phyllis.l.buerstatte@usace.army.mil; jani.c.long@usace.army.mil. Bids are expected to be due about January 17. For information, contact Caroline Mueller, U.S. Army Engineer District, Walla Walla, 201 N. Third Ave., Walla Walla, WA 99362-1876; (1) 509-527-7200; E-mail: caroline.b.mueller@usace.army.mil.